Barker Carlock ’17 wanted to be a medical anthropologist and worked alongside a triage nurse in Senegal thanks to Global Citizen Year. The program finds opportunities for high school seniors who set aside seven and a half months after graduating to experience another culture, while still keeping their sights on college. Carlock lived in Senegal in 2012-13 as a Global Citizen Year fellow and discovered his true calling there. The chemical engineering graduate was elected to the organization’s board in July as a representative of the program alumni. Based in Oakland, Calif., the nonprofit offers a gap year fellowship program that provides training, home stays, and apprenticeships worldwide. Each year it recruits and trains a diverse corps of high school graduates and supports them through an immersion in communities across Africa, Asia, and Latin America. Carlock enthusiastically describes the Global Citizen Year program as “the Peace Corps for high school grads” and now has a platform to encourage other college-bound students to consider a gap year. “The experience helps young adults grow and find clarity and direction to academic ambitions before settling into the classroom,” he says. He credits Global Citizen Year with shaking up his thinking on what discipline he would ultimately follow at Lafayette. Prior to his board appointment, Carlock served as an alumni ambassador for Global Citizen Year, visiting high schools to recruit students for the program. More than 10 percent of the eligible 550 alumni applied to join the board. 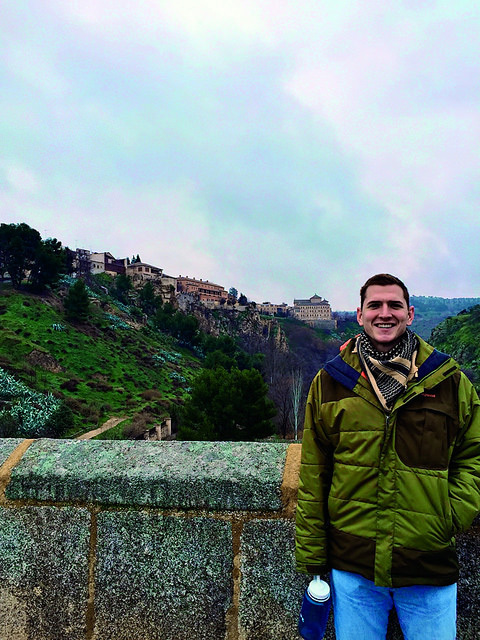 Omenn, who visited Lafayette’s Office of Admissions last year when the College announced a partnership with Global Citizen Year, says he’s seen how Carlock can engage others who may not know about the purpose or value of a gap year experience. Carlock’s education and talent are making an impression in his field of study as well. Following a successful internship at Telsa Motors, he will return there to begin his career.